Every network provider is competing hard to be number one in the telecom industry. Fast internet, HD quality calls, full range coverage and lowest rates are what user expects from their network providers. Users always want customer friendly packages to meet their calls, SMS and internet needs. Majority of network providers in Pakistan gives more decent deals to prepaid than postpaid customers. But Ufone always gives more benefits to its both prepaid and postpaid customers than any other cellular network provider in Pakistan. We always feel the need to do calls on landline and wireless numbers but finding the best package is probably hard then you must go for Ufone post packages as they have the different range of packages according to customer’s need. Now you can say all you want to without worrying about charges. You can activate this offer by sending a single SMS. Type ‘SUB’ and send it to 7500. You will receive a message from the company which confirms your activation. Rates of Ufone Unlimited PTCL Bucket offer are Rs.100 + tax. No doubt this is the lowest price for 8000 minutes. One more advantage that postpaid customers will have is no call setup charges will be applied on per call. No additional or daily charges will be added to your bill. FED with other taxes is applied to recharge, bill payment and on other usages. You will get 8000 minutes to make unlimited calls to any Ufone and Vfone number. Only postpaid customers can avail Ufone Unlimited PTCL Bucket offer. 8000 minutes will be allocated to you. 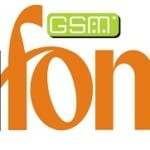 You can call to all Ufone and Vfone numbers anywhere in Pakistan. No on-net and off-net numbers are included. This offer is only for a month. Unutilized minutes will expire after 30 days. After usage of 8000 minutes, default rates according to package plan will apply. You can consume bucket minutes after the expiration of package minutes. At the end of the month, the offer will automatically renew. On daily basis minutes and charges of the bucket are prorated. The offer will automatically unsubscribe after the end of bill cycle. If you unsubscribe this offer before the end of the billing cycle, unutilized minutes above prorated volume will be charged separately. Surely, you might not have enjoyed such offer before and heard it from any other network provider. Ufone Unlimited PTCL Bucket unquestionably is an incredible offer. Talk as much as you want to and make calls to any landline and wireless number at cheap rates. Subscribe this offer now to get this offer.